The Level 2 course offers the students the opportunity of going deeper within themselves to develop a feeling relationship with colour. 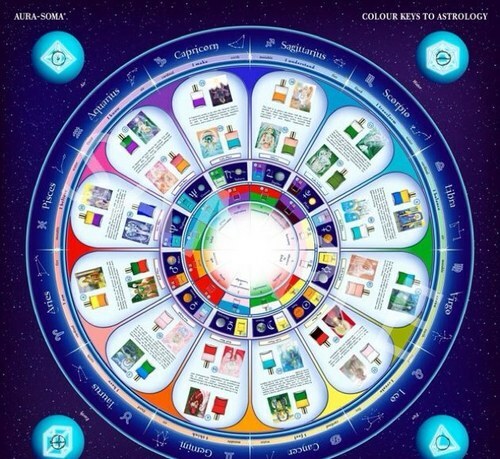 Its primary aim is to make connections between the Aura-Soma Colour System and other wisdom traditions showing the value of recognising colours’ influence on consciousness. Through these connections many new perspectives become available that may enrich both the personal journey of the student and the sharing in the Consultation. As this course explores so many connections the following list of course content represents some of the subjects from which each course will be drawn. Some of these subjects are core and will be taught by every teacher, whilst others are optional and will be selected according to the needs of the group. All subjects are however covered in the course materials that each student receives during the course. - The language and energy of colour across the different aspects of being. - The Trinity of Colour: Three Primaries, Three Tendencies, Three Aspects of Being. - Different levels of consultation: symbolic, spiritual, mental, emotional, energetic. - Consultation Skills: the Aura-Soma consultation practises and guidelines. - Numerology: the three matrix stars that relate to the three aspects of being. - Colour and the Environment. At the end of the Level 2 Yellow course, each student receives a further Certificate of Attendance which recognises the students’ completion of this level of the training. On completion of the Level 2 Intermediate course students have the opportunity to register with The Academy as an Aura-Soma Level 2 Practitioner and receive an Aura-Soma Practising Certificate. This enables them to then begin developing an Aura-Soma practise by offering consultations to the public as an Aura-Soma Level 2 Practitioner. The Practising Certificate will be valid for up to two years from the date of issue whereupon it may be renewed.